Another great property in Ventura CA SOLD by David Tovar, Realtor, of Exit Castillo Realty. Listing courtesy of Barron Properties. Financing provided by Academy Mortgage Corporation through an FHA Loan for First Time Home Buyers. The property was SOLD at asking price. Appraised value was about $5,000 above the asking price. Since the home was being sold by investors as a Flip/Rehab home, a professional property inspection report was required and all safety concerns contained in the report had to be fixed before the loan was fully approved. 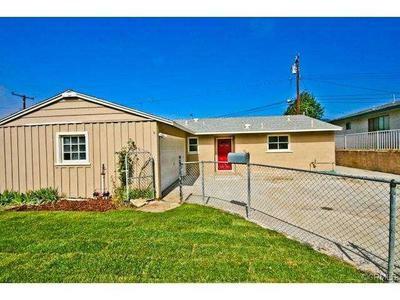 This property took less than 45 days to close the escrow and hand they keys to the new family. The investors did great work on the property and resolved all issues addressed by the lending institution. They even covered some of the closing cost which is not to common right now in this current market. Happy First Time Homeowner Testimonial in Ventura CA! For similar results and or a Free Consultation please contact David at (805) 444-6366. © 2014 Ventura County Coastal Association of REALTORS. All rights reserved. Information deemed to be reliable but not guaranteed. The data relating to real estate for sale on this website comes from Ventura County Coastal Association of REALTORS and the Broker Reciprocity Program.sm. Real estate listings held by brokerage firms other than Exit Castillo Realty are marked with the BR logo and detailed information about them includes the name of the listing brokers. Listing broker has attempted to offer accurate data, but buyers are advised to confirm all items. Information last updated on 2014-07-28.